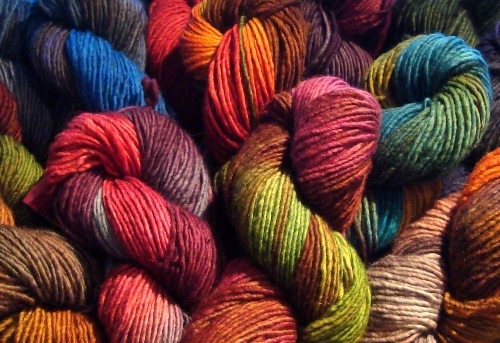 Olann is an incredibly soft 100% wool that we just received from Fleece Artist. 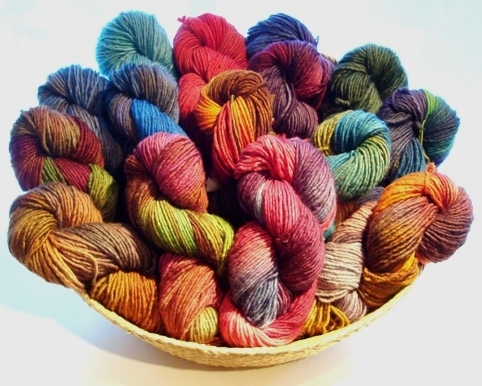 Each skein has 90 grams or 100 meters. Knit this on a 6mm needle to get a chunky 14 stitch gauge – it would make a lovely winter scarf! We have the following colours in stock: topaz, cedar, morgana, blackberry, labrador, amethyst, twilight, aurora, peacock, victoria, earth, red fox, and ruby. This entry was posted on Sunday, December 27th, 2009 at 5:16 pm	and is filed under Uncategorized. You can follow any responses to this entry through the RSS 2.0 feed. Both comments and pings are currently closed.